For most people, a vacation is the only time of year you can actually unwind and relax, making work the farthest thing from your mind. However, for those traveling for long periods of time, volunteering to work for an organization is a great way to get involved in a local community, as well as earn free food and places to stay. Best of all, it’s also a chance to promote ecotourist values directly, by doing something to benefit the environment rather than simply talking about it. Below, we’ll discuss some of the more popular Ecological volunteering positions that are available to travelers, and how with a little bit of work and the right mindset, these volunteering positions can be considered a part of the ecotourism umbrella. 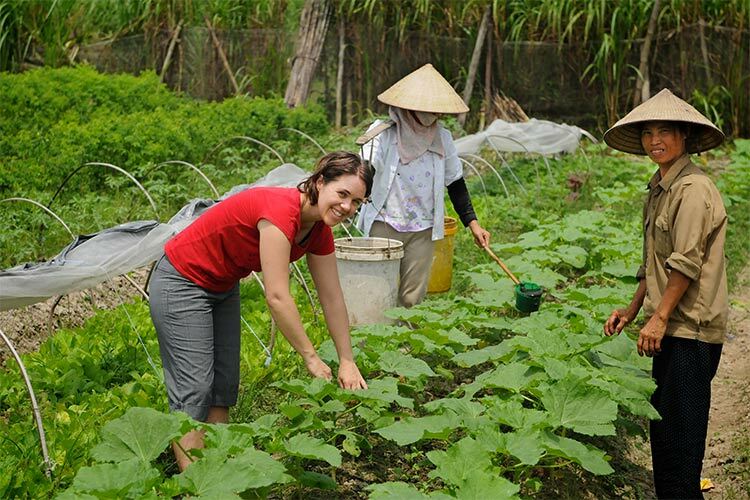 Working on a farm is one of the most easily accessible and popular ways to volunteer abroad. There are a number of organizations in place to hook farmers up with willing volunteers, but by far the most popular is WWOOF. WWOOF stands for Worldwide Opportunities in Organic Farms, and it essentially connects travelers with farmers willing to give them free food and a place to stay in exchange for work. If you’ve read one of the previous articles in our ecotourism series, Agricultural Ecotourism, you probably already know a lot about how spending time out on the farm in rural areas is a very ecologically minded activity. To recap, however, spending time out in the land, learning about how the earths natural processes work by actually witnessing them happen, is a surefire method for increasing your ecotourist knowledge. Better yet, the WWOOF program only works with farmers that run small scale organic, environmentally minded operations. This ensures that you’re working with someone who’s just as passionate about the wellbeing of our planet as you are. Plus, you get to visit some cool locations. I’ve head of WWOOFers tending quinoa farms in France, growing grapes in Italy, and even herding livestock through the mountains of New Zealand. 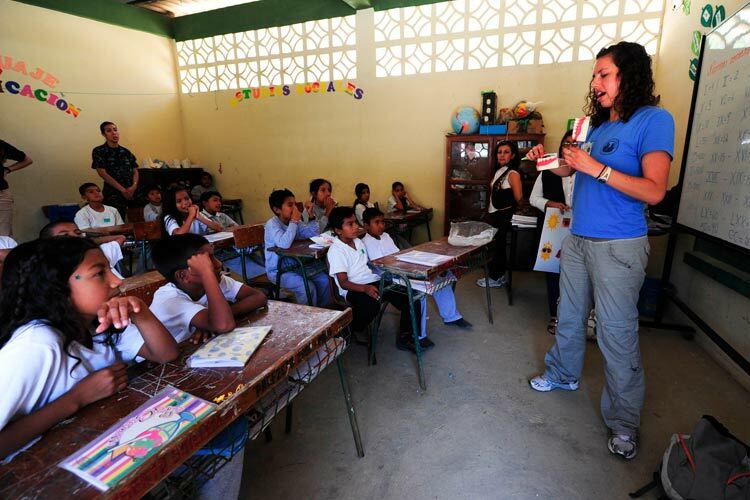 Teaching is the classic volunteering position for travelers, though many take on long term paid positions as well. Workaway and HelpX are two of the more popular platforms for finding this position. For the most part, European, Australian and American teachers are wanted to teach English in third world countries. While this type of teaching doesn’t necessarily relate directly to environmentalism, it still provides a platform for you to instil ecologically sound ideas to younger generations. For example, my girlfriend and I once taught English in a remote town in Indonesia. Though most of our lessons pertained to English, we were able to talk with the students about refraining from harmful activities like littering and burning trash. We were also able to act as role models and teach through example. Better yet, you can occasionally find positions teaching directly about ecotourist ideals. For example, in about two weeks I’ll begin teaching at a school in Hanoi, Vietnam, about organic gardening, among other topics. This will allow me to directly talk about ecologically minded topics to younger children. Plus, I get to stay free in an awesome location, giving me free reign to explore nearby wonders like the famous Ha Long Bay. Though not quite as popular as farming or teaching, it’s not uncommon to see volunteering positions at guesthouses. 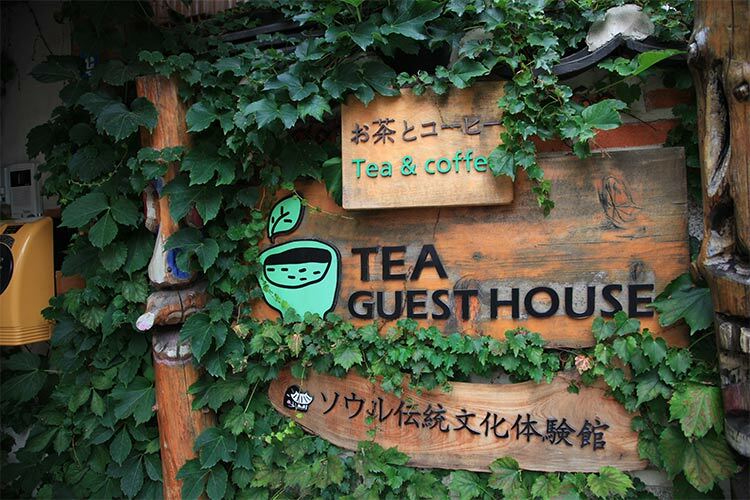 In exchange for a room at the guesthouse, the volunteer is expected to run the front desk or help other guests with their needs. Much like with teaching English, the real opportunity here is teaching ecologically sound practices by example. Live in an environmentally sound manner, and chances are the other guests will notice or even imitate your actions. If the opportunity arises, don’t be afraid to talk with them about what you’re doing. Furthermore, if you feel comfortable, you could even address the owner of the hostel or the hotel about implementing ecologically minded ideas, such as recycling bins or a compost heap. In the world of volunteering, disaster relief is one of the most important and most visible volunteering positions. Organizations like Hands.org are a great place to find these positions. Furthermore, they’re ecologically minded to the core. 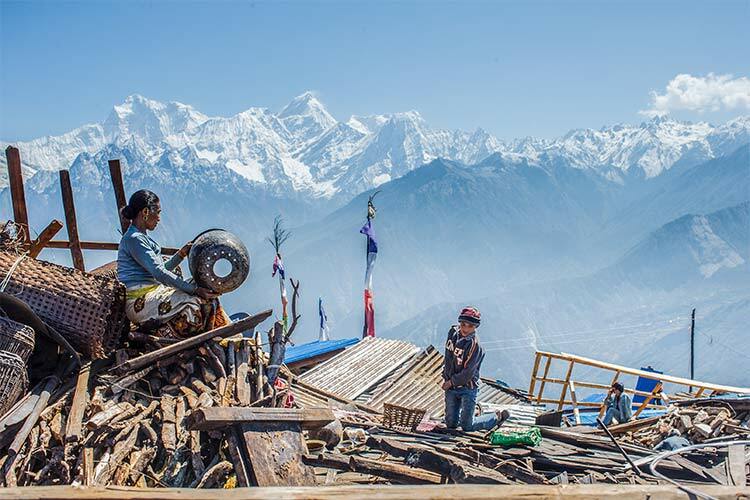 By helping to clean up with a natural disaster, rebuild towns, or provide medical assistance to a vulnerable community, you are helping to strengthen and rebuild their community better than ever. This is the perfect opportunity to implement ecologically sound ideas. However, more importantly, it’s an opportunity to help your fellow humans cope in the worst of times. If it wasn’t clear from reading the above examples, lots of time, volunteer positions aren’t inherently ecologically minded. However, you can use these positions to reach destinations and people you could have never met before, and then act as an ecological role model to the them. Don’t do this in a snooty way, as environmentalists often inadvertently do. Instead, do what you know is right, and you’ll be surprised at how easily people will want to emulate your example. Jack is an American writer, musician and traveler with a background in biology and a love for Mexican food. He's currently traveling through Southeast Asia to experience the region's natural, culinary and cultural treasures. Read all about the trip through Textbook Travel and his blog, Saunterism.